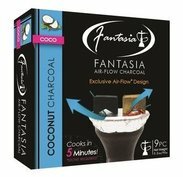 Vapor Glass Hookahs have revolutionized the age old form of Shisha smoking by creating an all glass Hookah concept that offers improved functionality and performance while maintaining an enjoyable and contemporary smoking experience. The Torpedo Glass Hookah is a 4 Hose capable hookah that offers a perfect smoking session for large groups of users. The design was inspired by using hand blown laboratory grade glass tubing and specially formulated food / pharmaceutical grade taste free hosing. This combination of base scientific materials and craftsmanship delivers the purest smoke possible by preventing any material contaminates from entering the smoke. There are no rubber parts or grommets or non-permanent parts used in product construction. 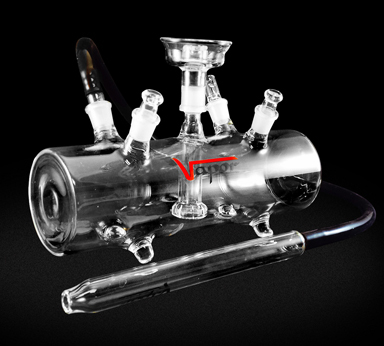 All Vapor Glass Hookahs are designed for functionality, durability and ease of use. The Torpedo Glass Hookah is stored in a hard style carrying case that contains a security key lock for comfort and privacy. The Torpedo Hookah can accommodate up to 4 Hoses. Optional Vapor Glass Hookah accessory items are available and can be customized to meet most specific requirements.